To prepare for the future, India emphasizes addressing inclusive and sustainable growth, eliminating poverty, and expanding their urban sphere. The growth-orientated government faces challenges in creating efficient policy reforms to fit their agenda. Issues including poverty, inequality, lack of infrastructure, and an unfinished plan for reform limit the country’s tremendous growth prospects. How can India utilize macro economic policy for faster growth? What additional policies are needed to boost infrastructure and urbanization? How is India responding to climate change and sustainability? 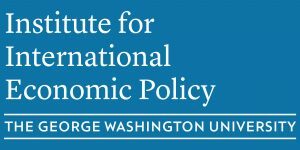 How can revised policy and programs aid in eradicating poverty? The Institute for International Economic Policy at the Elliott School of International Affairs and India’s National Institute of Public Finance and Policy hosted a conversation with top academic researchers, officials from the IMF, NIPFP, and World Bank, and current and former advisors of the Indian governments.